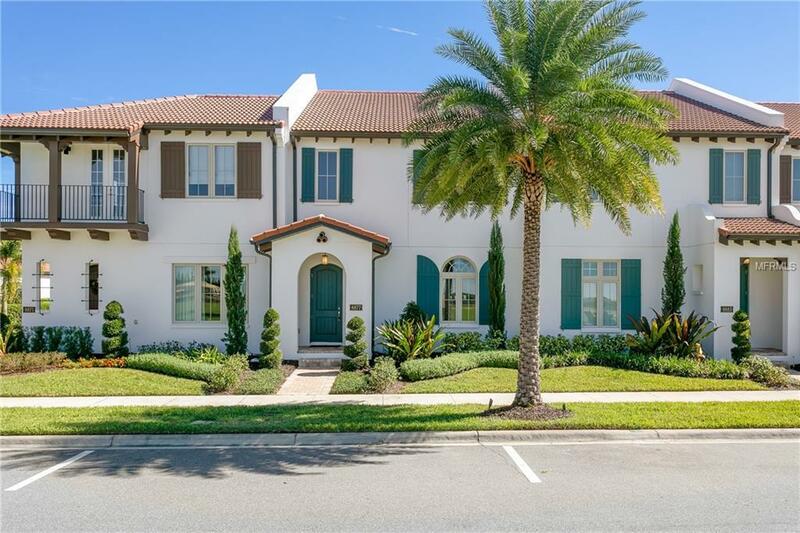 This model worthy home is just moments from Disney, this luxurious community offers an exceptional lifestyle with an amazing clubhouse, resort style pool, fitness center and even a lifestyle director creating activities like "Wine Down Wednesday" and so much more. Head down to the dock and relax in one of the hammocks overlooking the water with the park just steps away. 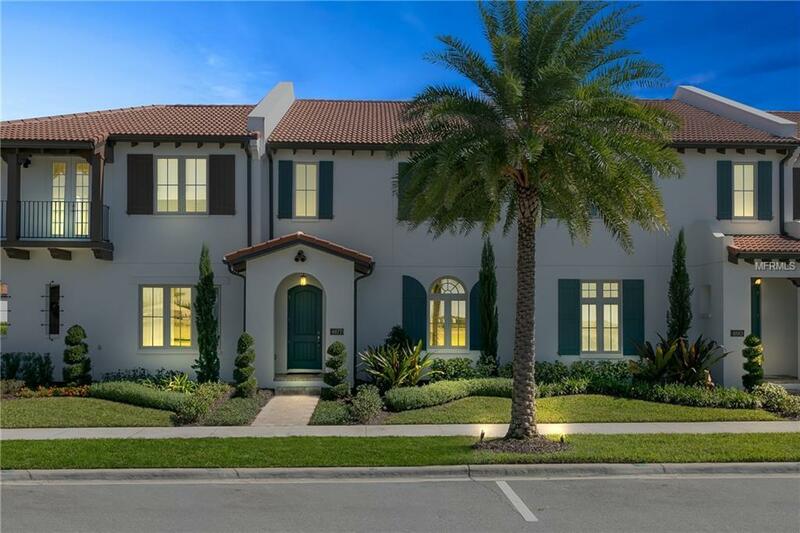 This home is absolutely pristine and in move- in ready condition with both great function and style. 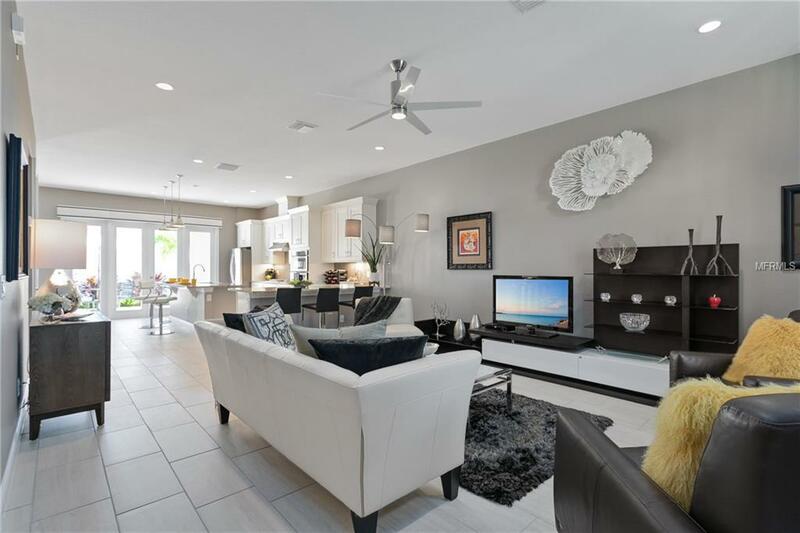 Stepping inside you're greeted with a bright and airy open floor plan and high end finishes. 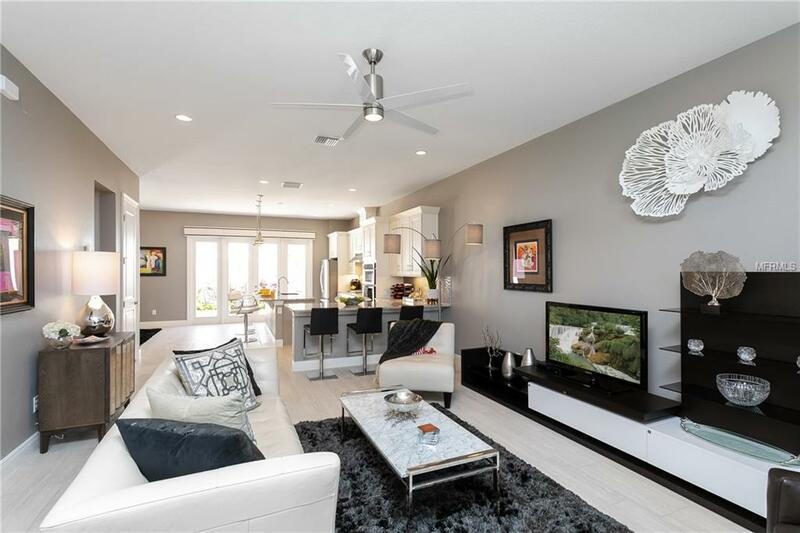 The main living area is filled with natural light from the windows at the front and beautiful upgraded French doors. The kitchen is a complete dream for both novice cooks and home chefs! Featuring recessed lighting, ample cabinet space, an island with sink, stainless steel appliances, gas range and a peninsula. Downstairs you'll also find a large half bath. Upstairs you have 2 guest rooms, a guest bath and elegant master retreat. Your master bedroom displays additional details such as a tray ceiling adding depth to the room. The master bathroom has a dual vanity, large glass enclosed shower and soaking tub perfect for unwinding. Outside you'll find a courtyard perfect for continuing the entertainment from the inside to the outside.You also have direct access to the garage and FULLY FUNCTIONING apartment located above.The apartment has a kitchenette complete with stainless steel appliances,a living /dining area, bedroom, walk in closet and full bath. Pet Restrictions Please Confirm With Hoa.